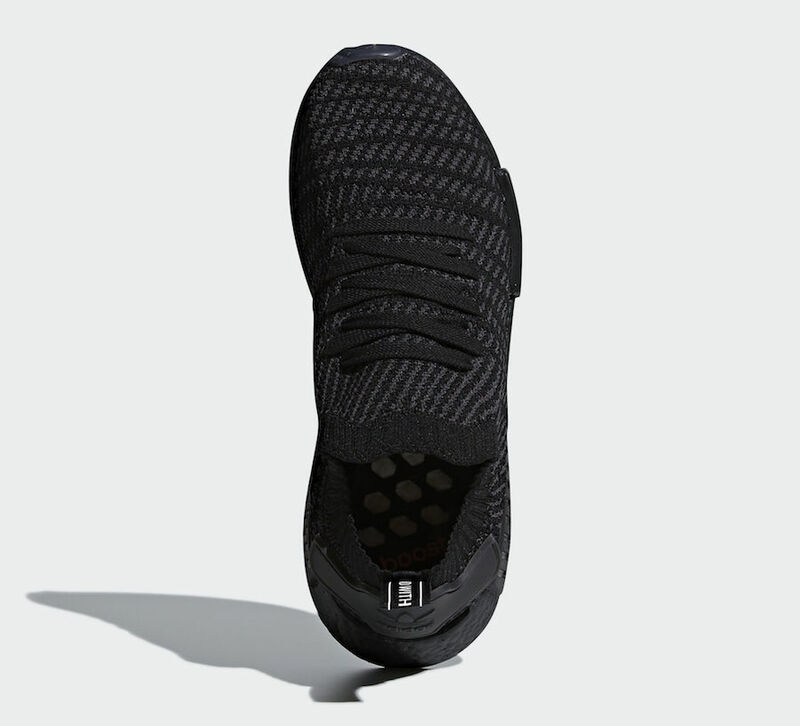 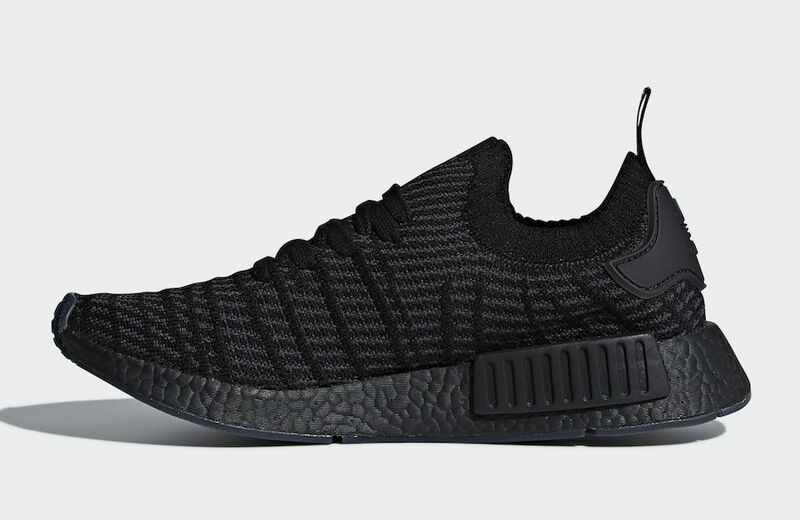 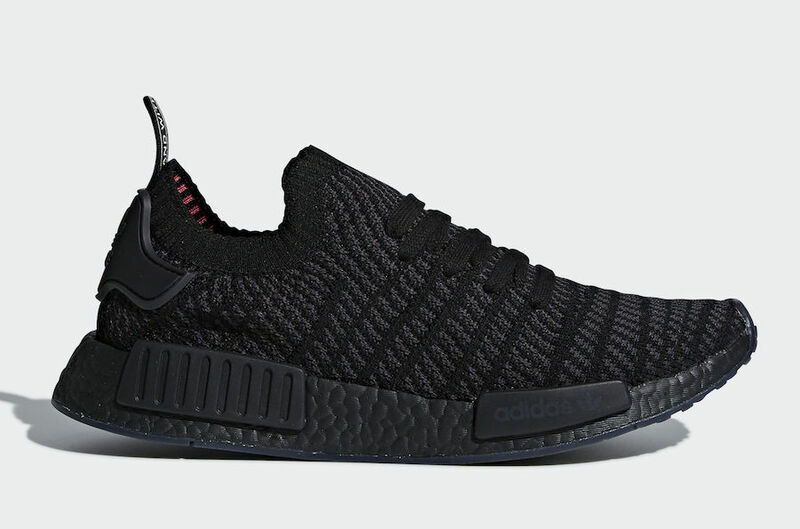 adidas NMD R1 STLT Primeknit "Triple Black"
The adidas NMD R1 STLT gets its own “Triple Black” makeover, as popularized by its fellow silhouettes the adidas NMD and adidas Ultraboost. 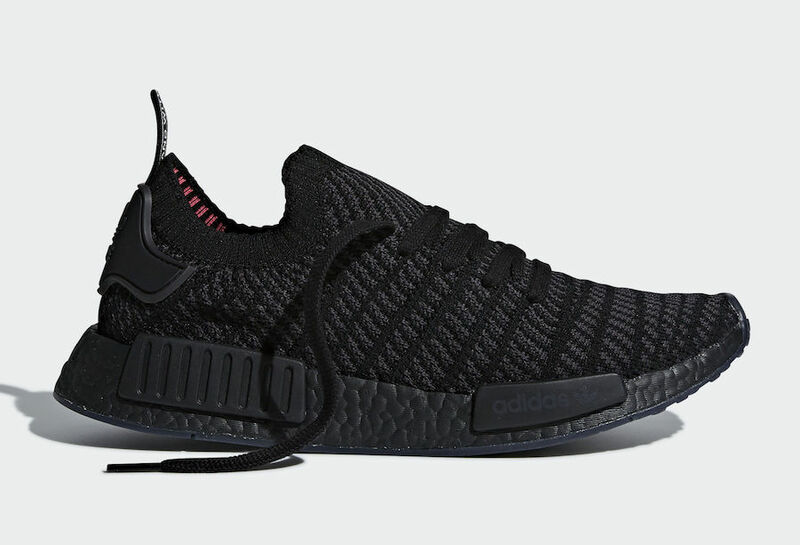 This silhouette features a tonal mix of Core Black and Utility Black throughout the Primeknit upper with hits of Solar Pink on the ankle collar. 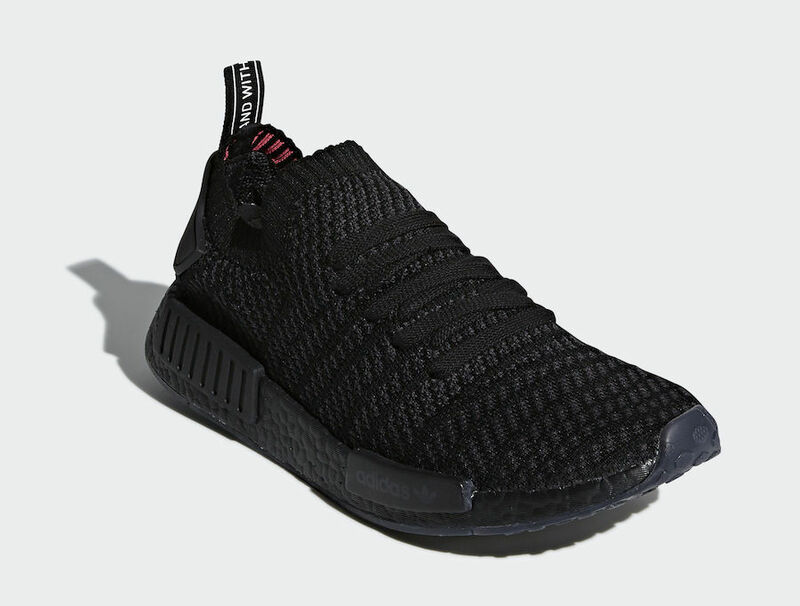 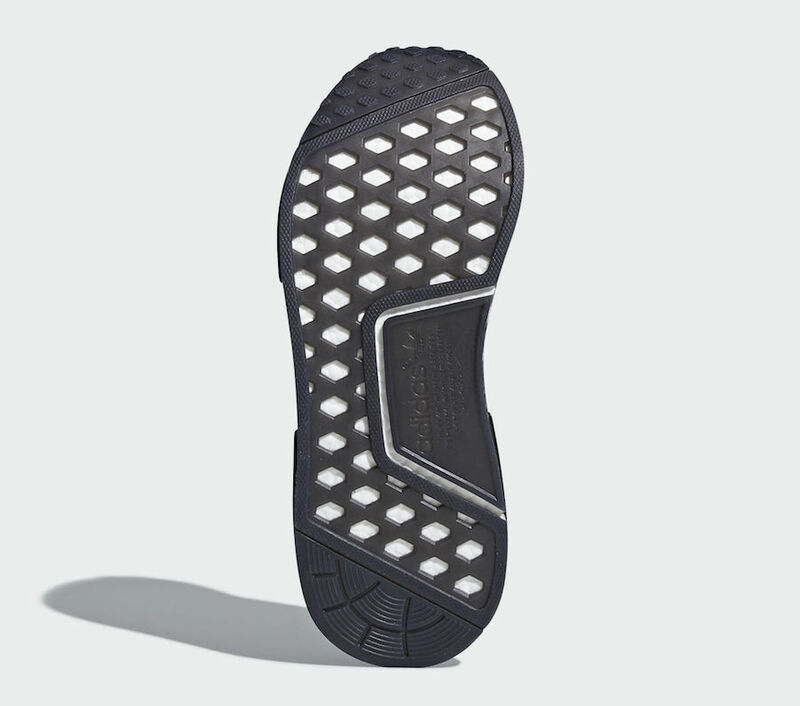 A full-length Black Boost midsole and matching rubber NMD blocks finish off the design. 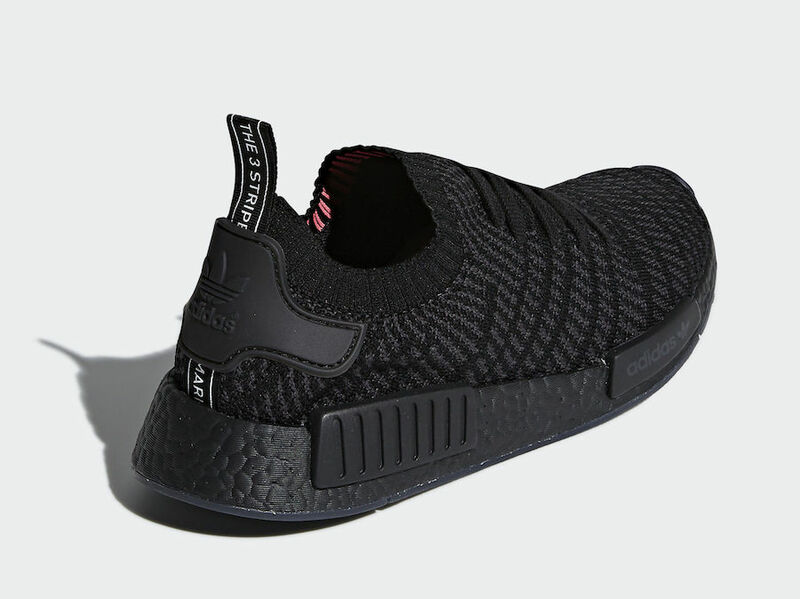 The adidas NMD R1 STLT Primeknit “Triple Black” is set to release on March 31st at select adidas retailers and adidas.com with the retail price tag of $170 USD.